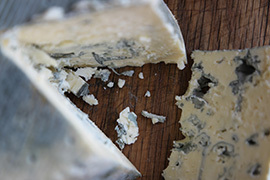 We specialise in the production of semi-soft, natural-rinded, matured blue cheese made from both cows’ and sheeps’ milk. For our full product range, and full details on our Production Capacity and other specific product information, please contact us for further information. Need help in selling our cheese? We have a lot of supporting materials; We offer leaflets, training videos, dummy cheeses for display, tasting notes, sell sheets and training documentation. Please contact us for material. 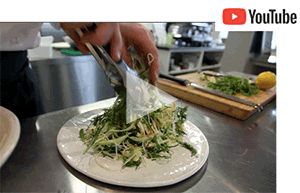 We produce and share high quality videos of blue cheese recipes, featuring chefs and friends using our blue cheeses. Please visit our Youtube channel or our Facebook Video channel to see. You will also find lots of chefs’ recipes in the Recipe section of our website. 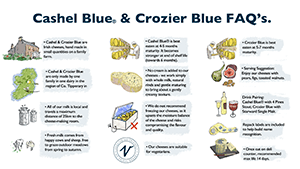 A quick crash course in some frequently asked questions about Cashel Blue® and Crozier Blue – useful for deli counter staff, stockists or if you would just like to know a little more about our cheeses. 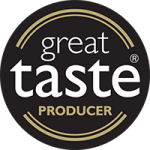 We take our quality assurance seriously, and conform to the strictest BRC standards. Download our current BRC Certificate, or talk to our Quality Assurance Manager, Louis Clifton Brown, through our Contact page for more information. We are certified organic producers with the IOA (Irish Organic Association). We are currently producing or our Organic Cashel Blue® to this specification and in line with European Union organic standards. 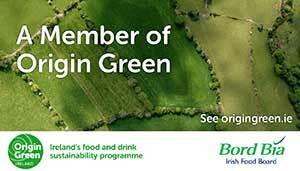 We are certified members of An Bord Bia’s Origin Green initiative. This certification is awarded to food businesses committed to and striving towards more sustainable business practices. 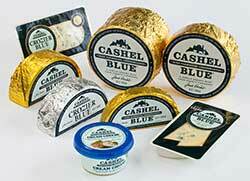 Cashel Blue® is a registered trademark, and is made uniquely by the Grubb family since 1984, here on Beechmount Farm. 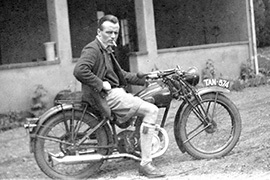 Get the full story in our History Timeline. 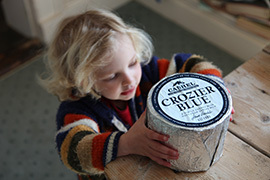 We supply our cheese directly to a broad range of speciality food sector clients. 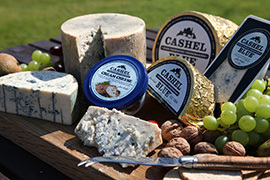 If you’re a chef and looking for catering-sized cheeses, we stock different sizes and formats in our Online Farm Shop. 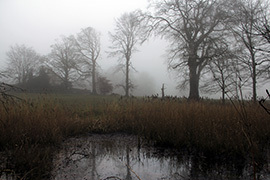 For full information on product range, formats and sizes please contact us through the Contact Page..